Do you ever have one of those days where you don't feel like doing anything? Today was such a day for me, but I believe I have a very legitimate reason. I had the luxury of coming face-to-face with a 3-inch arachnid at 3 in the morning inside my house. Now, never mind arachnids - I have what you can call spiderweb-o-phobia as well. As such, I slept for 3 hours, which was somehow enough energy for me to last through a day of school and drag myself to downtown afterward for some sushi. Urban Sushi is a small Japanese restaurant on Granville St. conjoined with its sister restaurant, Urban Grill. It is open until 7:30 p.m. on weekdays and closes earlier on weekends, which most likely suggests that it is frequented by businesspeople looking for a quick lunch or an early supper after work (though tourists also seem to make their way into the restaurant as well). 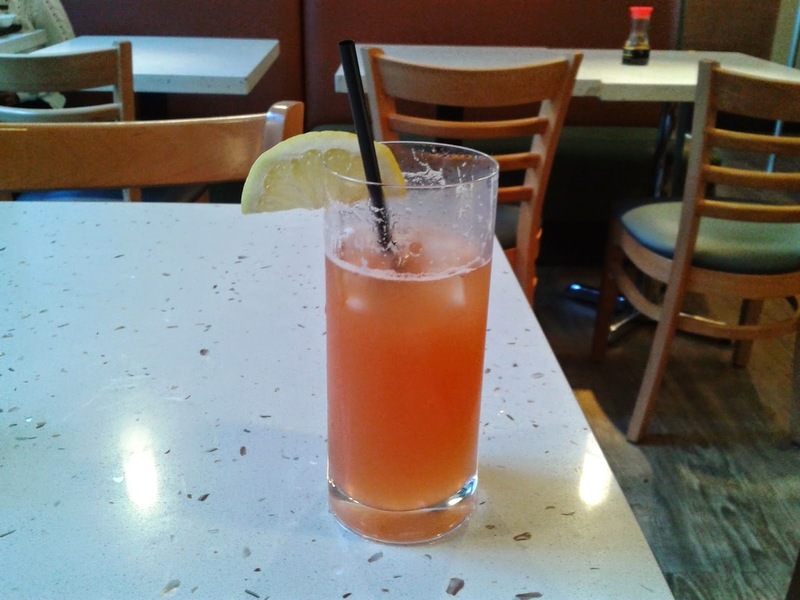 The Tropical Ale consisted of ginger ale, grenadine (pomegranate syrup), and pineapple juice. It was cool and refreshing and is a sparkling drink. It has a sweet and citrusy taste. I chose Daily Special #5 ($11.95), which came with the Tropical Ale (my choice of beverage - listed at $5.25 if ordered separately), BBQ Short Ribs, Salmon Teriyaki, Salmon Sashimi (2 pieces) and Tuna Sashimi (2 pieces). After a reasonable wait (about 10 minutes), my aburi nigiri (not part of the special) came. On the menu, the nigiri is listed along with stars on the side to indicate which choices were available aburi style (seared). To my surprise, there was no star beside toro (tuna belly), but my server told me he could have it made for me if that was what I wanted. The Aburi Toro Nigiri turned out to be a glorious success (all thanks to me). Not only did they nail the fish-to-rice ratio, but they also nailed the smoky flavour on the mayonnaise, which made for two very delicious pieces of nigiri. The sushi rice was soft and well-prepared, while the toro was tastefully garnished and delightfully juicy. They should definitely add a star to the toro nigiri as I believe this was one of the tastiest things they have ever made. 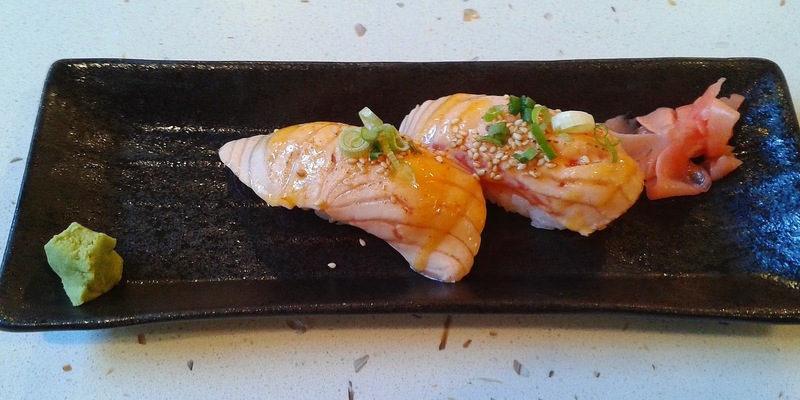 The Aburi Salmon Nigiri was topped with sprinkles of chili and pepper for a little added spice. I liked how the salmon still maintained a marbly texture on the bottom, but I thought it needed a bit more flavour. 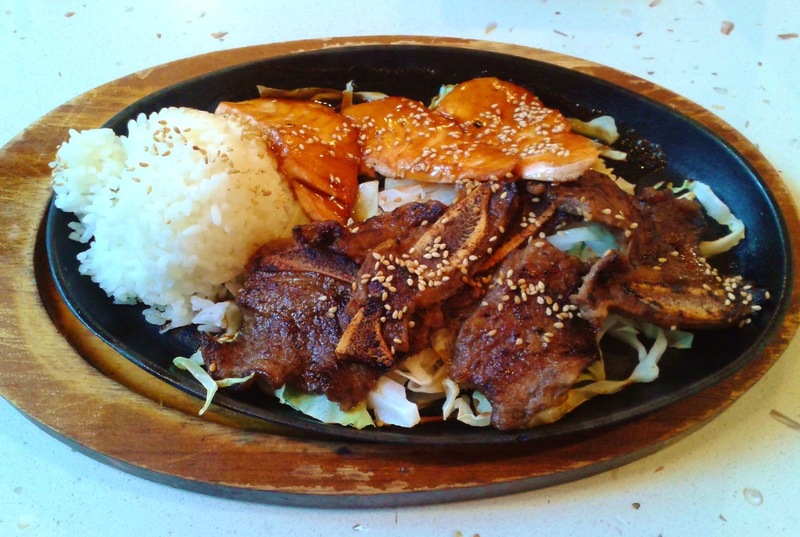 The Salmon Teriyaki was a bit over-grilled, which made it lacking in moisture. The pepper and sesame seeds added much-needed flavouring. The moisture issue was somewhat remedied by the ample teriyaki sauce provided under the bed of lettuce. The BBQ Short Ribs were well-seasoned with a bulgogi-like sauce - it had a gingery tinge and a hint of a charred flavour. The main issue with it was that it was quite tough to chew. 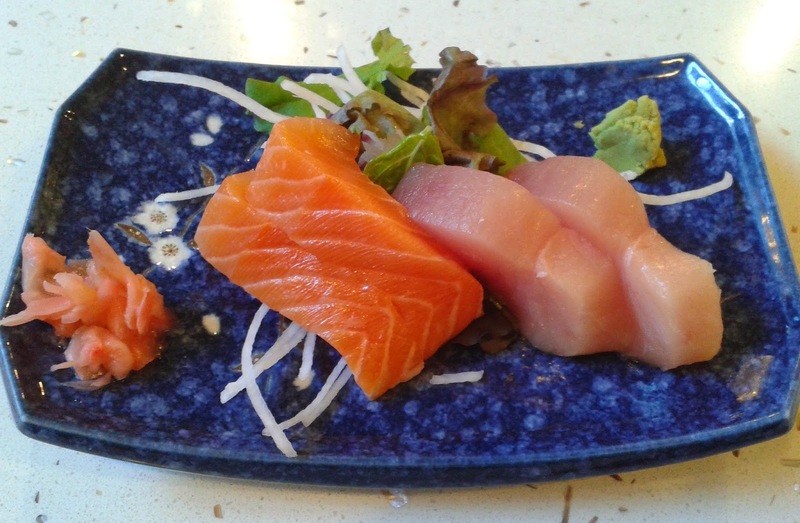 The salmon sashimi had an irregular cut (it was cut thicker than usual and resembled a column). The salmon was fresh with an aftertaste much like smoked salmon. I still prefer the thinner, flatter way of cutting the sashimi. The Tuna Sashimi was very soft and I could feel it melting as I ate it. It had a slightly metallic aftertaste and dipping it in the soy sauce overwhelmed the tuna itself. With regard to the service, they try their best in terms of attitude but it would be nice if they were a bit more conscientious. During my visit, they forgot to give someone the menu, they asked me if my food came after I finished eating everything and they forgot to bring me the card machine. Maybe they were a bit tired since it was 6 p.m. (almost closing time). I was tired too, but at least I had a mostly enjoyable meal and could take a one-hour nap on the 160 bus. Urban Sushi will remain as one of my go-to places for a quick, informal meal for my downtown excursions.